A field of TerraSmart ground screws await racking for a solar array on Native American tribe Moapa Band of Paiutes’ land in Nevada. It’s ironic that a mounting system is named after a bird of prey, but Nuance Energy Group’s set out to make the Osprey Power Platform a feasible option for installers big and small. But what keeps it in place is Nuance’s patent-pending earth anchor. The Osprey Power Platform is secured using anchors that are driven into soil vertically using a pneumatic hammer. Once two-to-four feet in, a wench is attached to the anchor’s steel cable and hand-cranked, so it’s pulled horizontally in place while submerged. This creates ground tension, making the soil above it a weight, and keeping the anchor in place. Nuance Energy’s Osprey PowerPlatform uses a patent-pending ground anchor to mount the racking system. According to a Nuance white paper, “essentially, earth anchors work the same way as helical piles and ground screws but with much less steel, greater adjustability and without the need for the specialized installation equipment.” The anchor is held to the rack with a steel cable instead of a pile. Nuance developed the Osprey PowerPlatform for ease-of-use, making the entire mounting system, racking and module installable with small power tools. 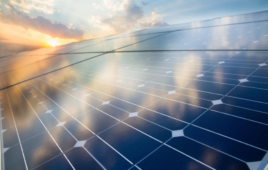 As a testament to its effectiveness in cold conditions, the ground mount system is used in a 940-kW solar installation in Old Crow, Yukon, Canada—one of the northernmost solar arrays in the world. Its anchors were driven through 2-foot layers of permafrost with the same tools. Like the ground screw, the earth anchor is installed below frost depth, lined to the surface with a steel cable. Which means there’s less surface area for frost heave to act on than a traditional driven pile. An inch of surface area on a helical anchor can mean the difference between an attached array staying securely fastened or being uprooted by frost heave. The greater the surface area of a pile, the easier it is for frost heave to jack mounts out of place. 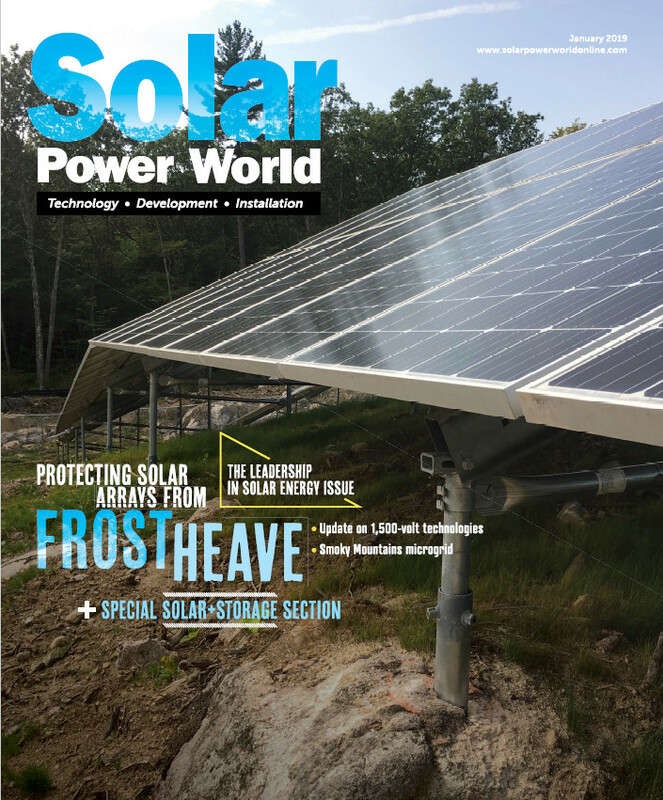 AP Alternatives, a mounting and racking solar company from Ridgeville Corners, Ohio, has a 2-inch helical pile that has proven effective in frost-laden soils. AP Alternatives was founded 10 years ago in Northwest Ohio, where installers have always faced frost heave. Von Deylen said a lot of progress has been made the past two years for combating frost heave, but they’ve been aware of the phenomenon since the start. AP Alternatives’ helical anchor is manufactured with a surface area an inch smaller than competitors, making it frost heave-resistant. The 2-inch helical anchor has variable helix attachments for use in different soils. Like the previous mounts mentioned, it too is driven below the frost line, wedging the earth above it when pulled upward. AP Alternatives’ helical anchor has been installed more than 500,000 times, “and a large portion of those are in 3-foot or deeper frost,” he added. As Electrical People we fail to realize that any/all installations are a part of an entire system of factors. In the sky, on the ground, in the ground and deeper. For a good installation all must be considered. Just to make the point, water is wet stuff that must be kept away from electricity. From a chemistry stand point rain water its different from water on the ground, in the ground and water rising up from the deep. Most times it is not any issue, not all of the time.